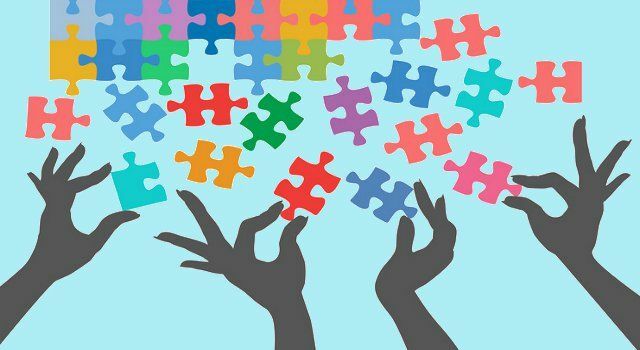 Why collaboration is important and strategies for teachers working together. Nose to the grindstone, I prepared for Monday, Tuesday, Wednesday, and Thursday -- what to teach, what to test, and how to learn. I gave it my best shot, alone. I was the only Spanish teacher. What did I have to say to teachers of other disciplines? Other than collegial greetings, I did not seek them out. How stupid could I have been! I should have taken the time and effort to collaborate! How stupid could I have been! I should have taken the time and effort to collaborate! I remember feeling so frustrated about classroom discipline that I had decided to teach college instead of high school. My teaching career began in the tiny town of Patagonia, Arizona. Looking back, I had an ideal situation: class sizes of no more than 15 students, in a small community where everyone knows everyone, and a four-day work week! I now wonder how different things would have been if I had taken the initiative and sought advice, wisdom, and assistance from the other experienced teachers. Nope, I was intent on saving the world by myself. What did I need from my fellow teachers? A lot of help! What did they need from me? Being a newbie, I couldn't really share pedagogy, but what they could have used to their benefit was my eagerness, energy, and enthusiasm. Perhaps I am an extreme example of what not to do, but I have witnessed a general sense that teachers, when it comes to their performance in the classroom, tend to stick to themselves. This could be because of self-consciousness or embarrassment, but the attitude of professional privacy is not conducive to professional development. I was lucky to have a mentor in my next school that knew what teaching was all about. He would actually seek me out, ask me for advice and would share what he was working on in his classroom. I felt comfortable doing the same with him. I learned a lot from him. I could have learned even more if I had realized how much my professional development depended on effective teacher collaboration. First of all, I would get to know them and not wait for them to get to know me. Even though I might be overwhelmed with paperwork, planning and preparing, I need to be with other teachers, not by myself. I must seek them out, spend time with them, help them, and build relationships. One of the benefits of this is that rather than simply having the other teachers know me as the "new guy," or the "weird guy," they will know my name and consider me a colleague. Secondly, I would observe as many teachers as possible, and seek out the ones that I would like to emulate, regardless of the academic discipline in which they teach. I would arrange to visit teachers on my conference periods to watch them and see how they go about the business of teaching and learning, looking for things that I could use. Afterward, it would be beneficial to ask them questions about how to imitate what I saw, though care must be taken to not be inquisitorial, or judgmental. Thirdly, I would develop a list of "how to" and "why for" questions regarding student data, instruction, discipline, etc. that I would ask these colleagues on my own. In those cases where I am lucky enough to have formal opportunities to collaborate, I would bring my list of questions pertinent to the agenda in order to pick the groups' collective brain for answers. Fourthly, rather than wracking my brain for answers that others have already solved, I would share my frustrations, with these colleagues and get the answers I need quickly so I can go on to other important matters. In my informal meetings with teacher colleagues and in the formal "collaboration" meetings, I must be prepared to share what I have learned. Though my idea may not be 100 percent useful, it may spark other ideas from which the other teachers may synthesize even more powerful ideas. Common lesson planning is powerful especially when combined with common assessments, but even if all I do is share them with a colleague, I find that they always have a suggestion for improvement and can save me embarrassment and frustration by correcting mistakes in content or judgment. Finally, and especially in formal collaboration meetings, but not solely, I would have to be prepared. What I mean by this is that one of the reasons that schools do not improve as fast as we would like them to is that when teachers get together for a purpose, rarely has research been done by the teachers, neither have ideas been mapped out prior to the meeting. So everyone in the meeting is flat-footed, and in the course of the short meeting, they are expected to come up with some grandiose solution from the top of their heads. I remember spending a summer doing this for "restructuring" and the best that 100 educators could come up with were portfolios and an advisory period! So, for formal meetings, I would look at the agenda and do some thinking and research so I have some valuable things to share. My experience has been that my preparation sparks much deeper conversation, more complete answers and better solutions. For informal collaborations, before I attempted to try out any new idea, I would ask one of my esteemed colleagues what they thought of it. In terms of assessments, the easiest way to improve the validity of the assessment is to have a colleague or group of colleagues review it. Of course, this assumes that I am on the ball enough to have prepared my assessment before I begin instruction (Jay McTighe and Grant Wiggins of Understanding By Design would be proud). What does this add up to? Teachers must take the bull by horns, and be deliberate in how we collaborate (i.e. work together in the business of teaching and learning). Michael Fullan, author of Change Forces, states emphatically that every teacher "...must be a change agent." The skills of individual and collective inquiry, as well as moral resolve that Fullan refers to do not come from the administration, they have to come from the true instructional leaders of the school: the teachers. What have you found works best to get the most out of collaborating with other teachers?